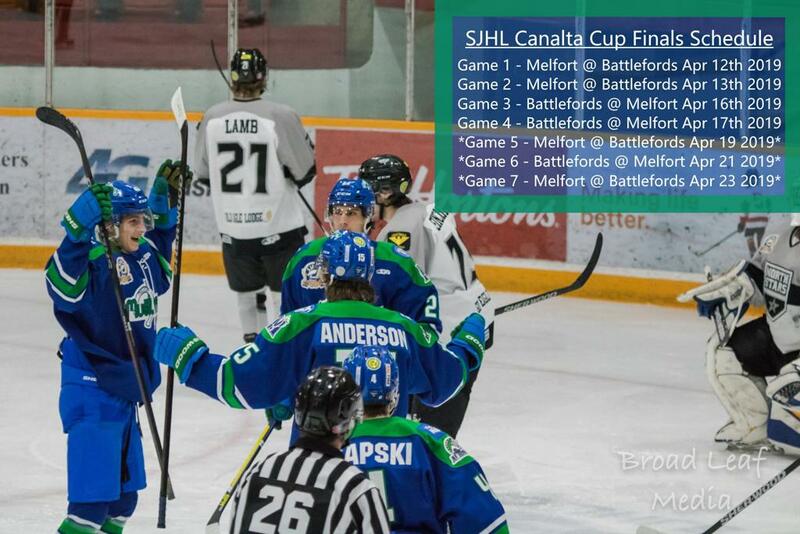 The Melfort Mustangs will now meet the Battlefords North Stars with the coveted Canalta Cup Championship on the line! After knocking out the Estevan Bruins in 6 games the Mustangs now move on to the meet Battlefords who have been waiting. The North Stars eliminated the Yorkton Terriers in a 4 game sweep earlier last week. Now that the SJHL Finals are set the schedule has been determined and the Battleford's North Stars will have home ice. The full schedule can be viewed at the bottom of the page. The Melfort Mustangs will host Games 3, 4 and 6 in Melfort in what is expected to be capacity crowds at the Palace! Tickets for Games 3 and 4 will go on sale Monday Morning, Apr 15th 2019. Tickets will be available at the ticket office at 10am, while they go on sale online starting at noon. Tickets for Games 1 and 2 in Battlefords are already online! They can be bought at tickets.northstars.ca. They ask all Mustang fans sit in Section E down in the corner.